Several of our former Kentuckiana Allergy offices in Louisville and Southern Indiana will be changing in the upcoming months. Our Chamberlain Pointe office will be moving at the end of February, the last day the office will be open will be Wednesday, February 27. In addition, beginning the week of March 4, several offices are changing their shot hours and will start closing for lunch. These changes include adding a late night in which offices will be open until 6:00 pm for shot patients at several locations and adding an extra shot day to our Corydon, Indiana office! We will be moving our office located in the Chamberlain Pointe shopping center. Our last day for allergy shots and appointments at the Chamberlain Pointe office will be on Wednesday, February 27. 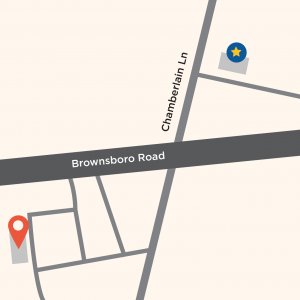 We will be relocating to the Family Allergy & Asthma – Chamberlain Center office, located just across Brownsboro Road. Allergy Shots: Unless another location is requested, allergy vials will be available at the Chamberlain Center office starting Monday, March 4. Appointments: Any scheduled appointments after February 27 will be moved to the Chamberlain Center office or your preferred location. Our staff will reach out to reschedule. If you have any questions or concerns, please call our office at 502.429.8585.